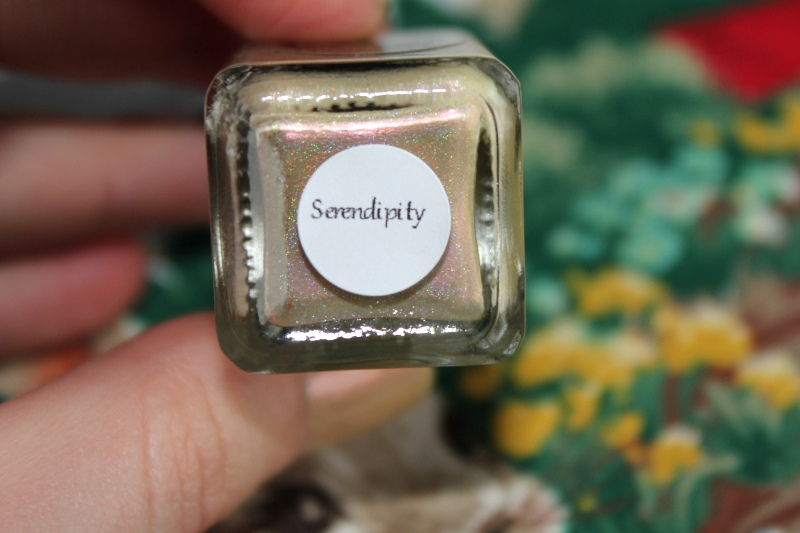 Serendipity by Enchanted Polish is absolutely perfect for Spring! It's like a seasonal update on the mannequin nail, I think. 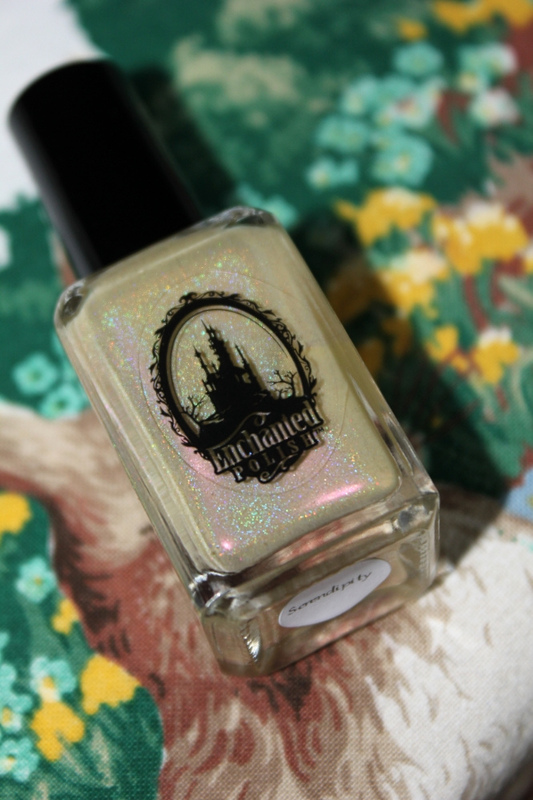 It's a pale yellow duochrome with pink shimmer and holographic sparkle! A very unique shade indeed! 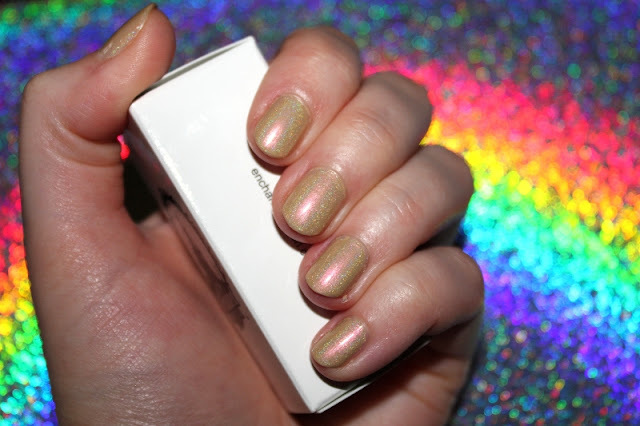 This is a scattered holographic so you get the true holo effect when the light catches your nails. It's like a little burst of magic when that happens.